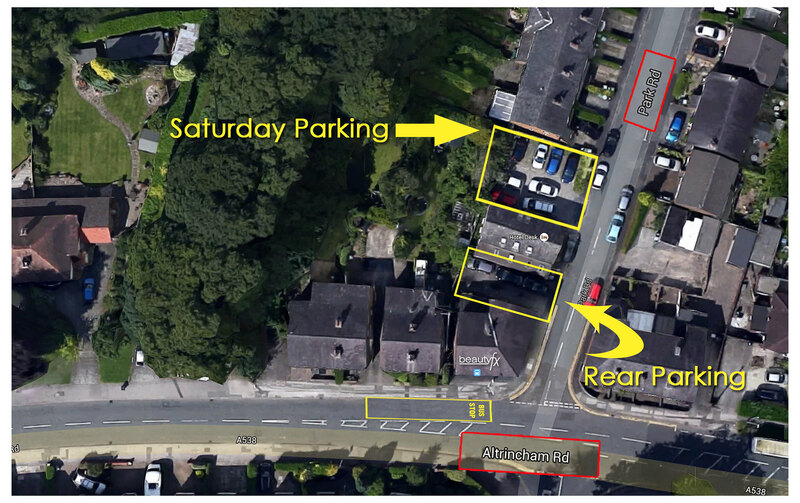 It is permissible to park on Altrincham Road outside the salon in the locations shown. Parking on the pavements is not advised, as this affects pedestrian traffic in this busy residential area. There are limited spaces at the rear of the salon. It is recommended that if you park here you use the two first spaces shown as this will ensure that you are not blocked in when you wish to leave. 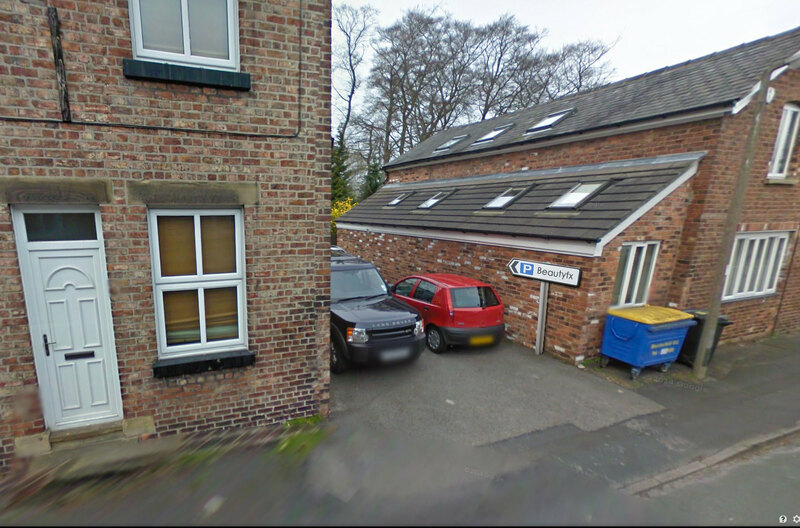 The proprietor of the offices next door generously allows parking on their property but only OUT OF HOURS - e.g. in the evening and weekends when the office is closed.